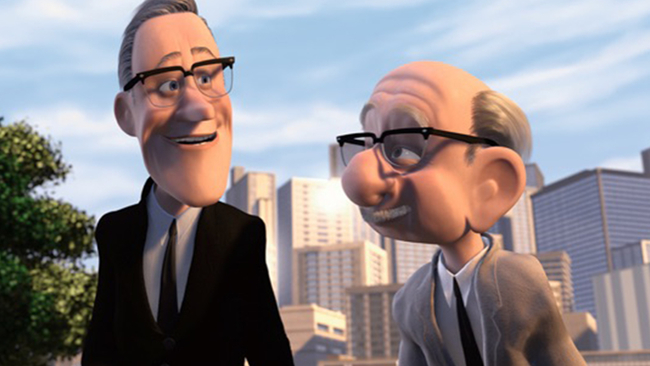 There's a scene towards the end of the Disney\Pixar's The Incredibles where two older gentlemen remark on how "there's no school like the old school" when referring to how the Incredibles defeat Syndrome's robot. The significance of that line isn't lost on me from an animation point-of-view, but that line can be applied to so many other situations in life. I'm not certain that hockey is one of those situation now with the emerging science of concussions, the treatment of all injuries, and the nutrition and routines that players have in remaining in top physical shape compared to eras past, but there seems to be a handful of "old-school" thinkers in the game still. Whether or not they're adapting to the new way hockey is played is debatable, but one guy had his say today when looking at how players interact on the ice and it seems he's not a fan. The man in question is Columbus Blue Jackets head coach John Tortorella, and he said this about players fraternizing on the ice. As we all are aware, John Tortorella doesn't mince words when speaking to the press. He's an emotional guy who speaks his minds even when at his calmest, and today he seemed a wee bit annoyed with how players don't have that old-school hatred for one another any longer. Gone are the days when certain players were villains to the home crowd, instead replaced by players on opposing sides who have friendly chats during warm-ups and during face-offs when they line up across from one another. And while I'm sure that there are still some players who are made to be villains by opposing fans, it seems Tortorella wants that element found in players once more. Torotella's opening statement is right: the game HAS changed. Regarding the "dinosaurs in it", he may be one of those dinosaurs now as players switch teams more often now than ever before. In doing so, they forge friendships and remain in touch with one another long after one or both players have left the team for which they once played. Players have a greater understanding now that this game is a business first and, like any employee in any business, networking and relationships at work are important. While there may be guys who don't like each other - Ryan Kesler and Ryan Johansen, for example - cases such as those in the NHLPA are rare nowadays simply due to the sharing of information among players and because free agency and player movement happens often. While I don't necessarily disagree with wanting a little hate back in the game among opposing players, the increase in teams and the lack of true rivalries also makes it hard to develop that hate. Who is Columbus' natural rival? Is it Pittsburgh? Philadelphia? Washington? One could say Pittsburgh after those teams met in the playoffs a couple of times and some blood was spilled in those series, but the turnover in players has all but ended the major feuds. Sure, the fans may still hold some grudge, but the players don't. In seeing how former teams honour players when their new team comes to town, perhaps Tortorella is in the minority on this one because it seems that the owners of teams sure like bestowing celebration on players they no longer employ. What are your thoughts on Tortorella's comments? Is he one of those few remaining dinosaurs? Does he have a point in not seeing that hatred among the players any longer? Would that make the game better? Let me know in the comments below. I have a feeling that this could generate an entire discussion, and Beans and I may bring up Tortorella's comments this week on The Hockey Show for further debate.